All of our belts have snaps for easy adding and removing of buckles. (Buckles not included) All Belts and combination of belts and buckles will be shipped Priority Mail for orders within the United States. 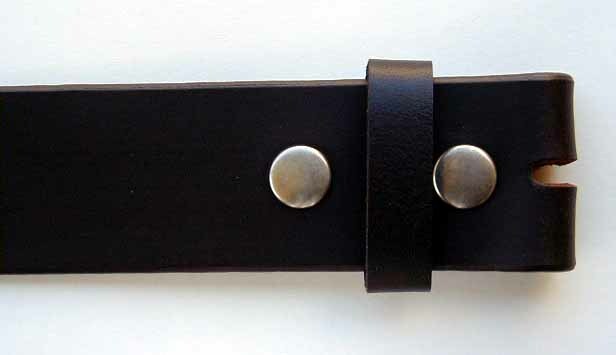 Just need a belt to go with your Belt Buckle, then these 1 1/2" wide Bonded Leather belts are ideal. Works in nearly all Jeans and most casual slacks belt loops. 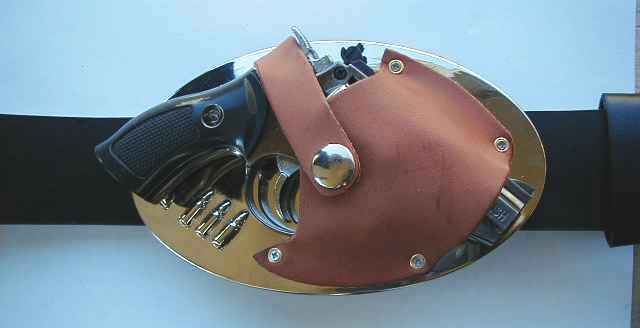 Will fit any of our more than 2,000 styles of belt buckles. Available in black, navy, pink, and with studs. 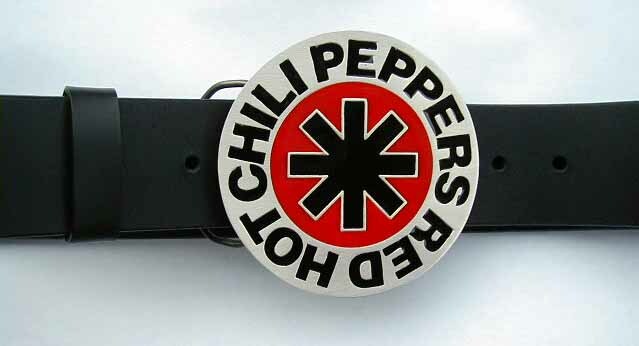 Belts come without buckles. Picture on the right is for display only. 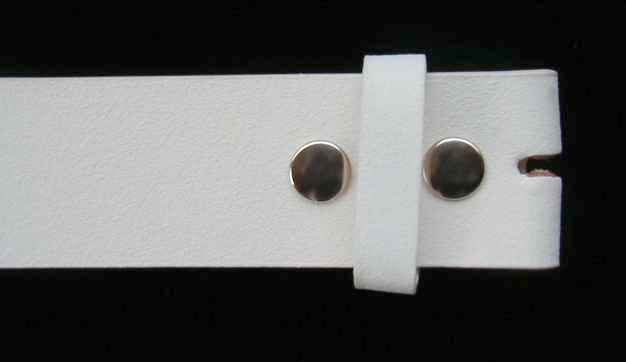 $10.95 1 1/2" WIDTH White Belts have a suede look, not smooth. 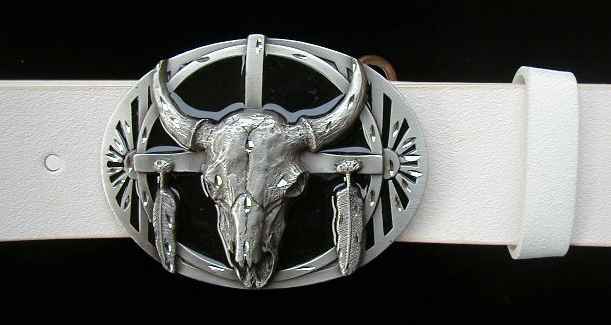 * Belt sizes are for wearing with one of our types of belt buckles. For instance if you wear a 34 waist pants then order a 34 belt. * If you plan to wear the belt with a plain prong style belt buckle with the belt order a belt size two inches larger than your pants size. *If you order the wrong size belt we will be happy to exchange it for the correct size within 30 days of your date of purchase. Just return the belt along with $3.00 for First Class or $5.50 for Priority Mail shipping to the address below.